One negative aspect that always comes up in conversations about Samsung’s Galaxy flagships is the company’s own TouchWiz interface. While Samsung has been offering a lot of cool and (sometimes) helpful new features under the skin, critics have argued that the UI has gradually reached an over-saturated level which ends up putting a toll on the whole performance of the handset. The good news is that Samsung has been listening to critique and made a lot of changes to the TouchWiz interface found on its latest Galaxy S6 flagship. 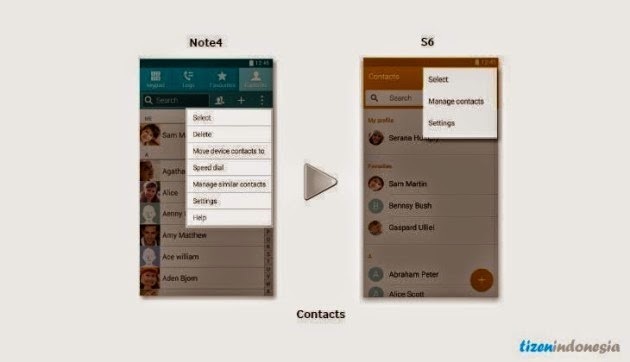 Actually, the first signs that Samsung was heading towards a lighter TouchWiz were visible on the Galaxy Note 4. 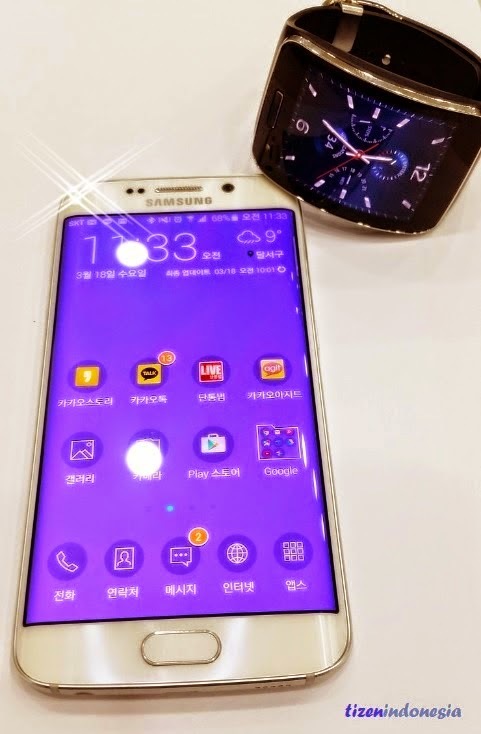 Now, as mentioned by the Korean tech giant itself, the new TouchWiz UI has been made 40% lighter than before, in an attempt to please the masses and make the Galaxy S6 and S6 Edge run faster than before. The new TouchWiz is based on Google’s latest Android 5.0 Lollipop OS, but when Samsung was designing it, did it take inspiration from the whole Material Design scheme of things or from its own homegrown Tizen affair? According to a source familiar with the matter cited by Tizen Indonesia, Samsung has been striving to make things look more akin to its Tizen homegrown operating system, while leaving Material Design cues in the background. The theory rests on the fact that Samsung is using a wide range of colors (which are not necessarily of the whole Material Design setup), round avatars, not of the square variety, and a very Tizen-like Contacts app. On top of that, Tizen’s customizable themes allow users to fundamentally change the look of their UI setup, an aspect which is not offered in Material Design. So it appears Samsung is sneakily slipping subtle traces of Tizen into its latest Android flagship. 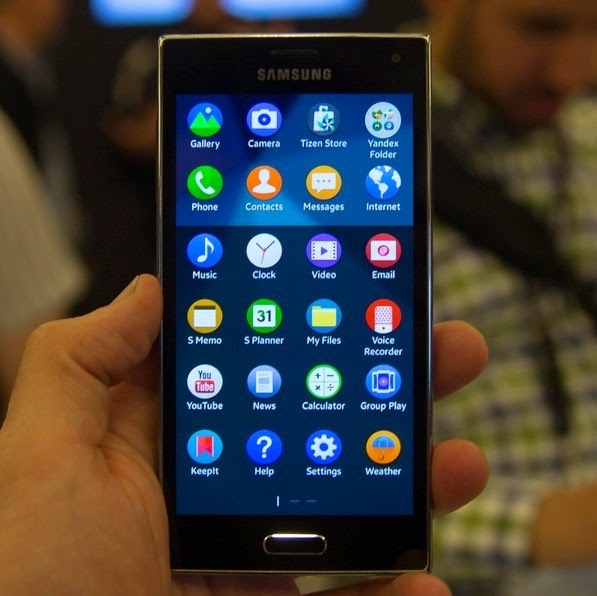 Customers might not be truly interested in Tizen OS for the time being, but Samsung is surely cueing them towards it. The company launched its first Tizen OS handset not so long ago, but only in emergent markets like India, where it sold the phone with an under $100 / €78 price tag. However, since the operating system is still in its infancy, it lacks a proper app ecosystem. But with proper commitment from Samsung, this issue will probably be resolved in time.